Tom Gamble is the founder and owner of Gamble Family Vineyards. Operation Encore is proud to announce the newest member of its advisory board, Mr. Tom Gamble. 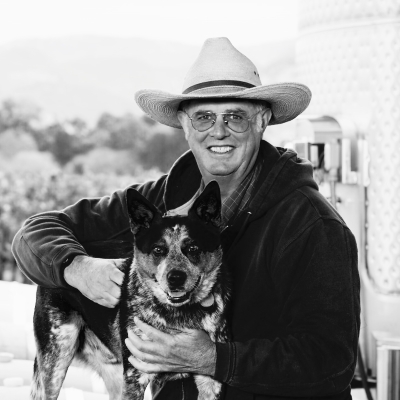 Tom is a life-long farmer in the Napa Valley who purchased his first vineyard in 1981. Raised on a farm, between falling out of trees, haylofts, and cattle trucks and having his senses knocked out of him, Tom developed a love for all kinds of music. While enjoying music, he finds solace, rejuvenation, fellowship and sometimes a slight hangover. Tom is a frequent writer and director of musical events and a supporter of music charities, from the Napa High Marching Band to the Tipitina's Foundation in New Orleans. He has also been a sponsor of several Nashville acts. Tom served for four years as the Honorary Wing Commander of the 60th Air Mobility Wing at Travis Air Force Base and has been a frequent employer, supporter, and friend to active duty and veteran military members and their families. Operation Encore is proud and excited to have him on the advisory board. Tom will join fellow advisory board members Lucas Hoge, Steve Mansfield, and Ed Scheuer. The Operation Encore advisory board is comprised of experienced leaders in the fields of music, business and law who assist the organization and its community of active duty and veteran military singer/songwriters. The board will continue to provide insights and advice as Operation Encore expands its impact after its approval as a 501 (c) 3 non-profit organization earlier this year. Operation Encore is currently in the midst of its inaugural fundraising campaign, which will run through July 4th. Operation Encore Releases "Bold Enough to Try"